Sudeley Castle Country Cottages are the perfect choice for family holidays, reunions and wedding guest accommodation. 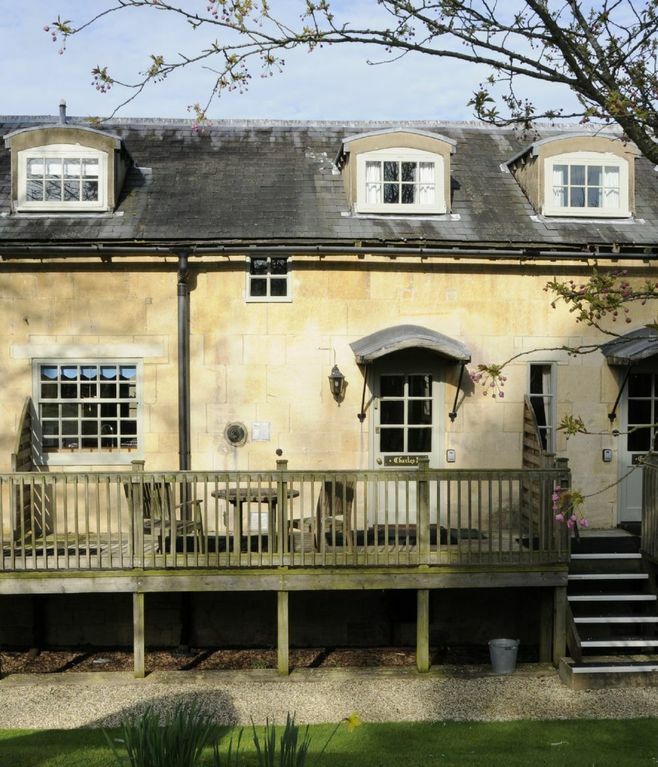 The cottages are in an Area of Outstand Natural Beauty, surrounded by glorious rolling Cotswold countryside, yet are only a few minutes walk from the historic town of Winchcombe, with its many pubs and a Michelin Star restaurant. This small attractive complex of 11 Cotswold stone cottages is set around a central courtyard with landscaped gardens and ample parking. The cottages each have their own individual charm. Most have been cleverly restored and converted from existing properties, retaining many original and unique features. The newer cottages are sympathetic in their design and architecture, seamlessly blending into the complex. Sudeley Castle Cottages are the ideal choice for a walking or touring holiday, or simply as an escape into the Cotswold countryside. Accommodation is carefully prepared for your arrival, with towels and bedding provided. The cottages are comfortably furnished and have well equipped kitchens. A new WiFi system was installed in 2014, enabling guests to stream programmes onto their smartphone or tablet. The cottages have access to shared gardens and each has its own garden furniture. Travel cots, high chairs and stair gates are available on request free of charge and a laundry service is available. Guests enjoy complimentary admission to Sudeley Castle & Gardens for the duration of their stay (during normal opening hours in the season). Sudeley Castle Cottages are available all year round for weekend breaks, mid-week breaks or longer stays. Pets are welcome at five of our cottages, although we do ask that you respect our &ldquo;Pets Code of Conduct&rdquo;. The bathroom was completely refitted in winter 2016 and has a hand basin, WC and walk-in shower. Fluffy towels and bedding are provided for all guests. This apartment, which sleeps 3 people, is converted from the old forge. It is named in memory of Charles I, who took refuge at Sudeley Castle after his failed siege of Gloucester during the English Civil War. Guests staying at Charles I enjoy complimentary entrance to Sudeley Castle & Gardens (during the season). The accommodation is arranged over two floors. Downstairs it comprises a lounge, dining area and fully equipped kitchen. For your entertainment, there is a flat screen TV and DVD player, whilst a new WiFi system provides you with access to the internet. A pretty divided staircase leads upstairs to each bedroom, one of which is a double and the other is single bedded. The bathroom was completely refitted in winter 2016 and has a hand basin, WC and walk-in shower. Fluffy towels and bedding are provided for all guests. Charles I shares a decking area with Prince Rupert and George III, with each apartment having its own seating area. Pets are allowed, although we do ask that you respect our &ldquo;Pets Code of Conduct&rdquo;. Hi Chris We do not usually have WiFi issues at Sudeley Castle, this must have been a problem with the exchange. Apologies for the inconvenience and we hope you had a great Festival! Charles 1 had been very nicely refurbished especially the kitchen which also was well equipped. Also, it was well heated and felt very cosy. However, there were some major and minor irritations. The major one was the terrible floorboard creaking upstairs as one moved around. It was really bad. The minor ones were: terrible storage for clothes and bits. The cupboard in the main bedroom was ancient and had no handle so very difficult to open. There was absolutely no hanging space in the single room, not even a hook on the wall. The bathroom was very nice but had no shelf for the soap, shampoo etc in the shower. Everything had to go on the floor and for older people, the bending down was really difficult. The price per night would have been fair during the summer and the holiday season but really should have been reduced in the winter and out of the main holidays. I have stayed in most of these cottages over 30 years. It’s becoming on the expensive side for what you get. It is indeed comfortable and clean but each refurb seems to strip away at the charm, history comfort and character of these wonderful cottages. For the price I would have expected a bath and carpets downstairs. I realise these particular cottages are dog friendly but Lino in the lounge is really not ‘in keeping’. I will continue to return as it’s become somewhat of a family tradition. Winchcombe is a wonderful place with beautiful manageable walks. My wife and I are from the USA and this was out 4 th stay at the Sudeley Cottages. Our stay this time was pleasant and there were no problems. As indicated, we were happy to see the kitchen upgrade. And the new outdoor table and chairs. Its always good news that the property owners are continuing to maintain and upgrade the facilities. The induction heating cook top was a bit intimidating. Its not something we were used to and we had to get used to cooking with it, a bit of a challenge for a short stay. While very nice, perhaps a more conventional (at least by US kitchens) choice would be more convenient. The new refrigerator/freezer was very nice. While we didn't have a need to use it, having the washer/dryer is a real plus. The kitchen was well stocked with cooking utensils and containers. The WI-FI was useless. The data transfer rates were so slow doing anything (checking the weather, flight information) was impossible. Computer would time out before the data would arrive. For us with wheelie baggage the gravel path to the unit was difficult. While not specifically related to the Charles I unit, Winchcombe had an excellent butcher, baker and deli. We see a green grocer has reappeared. For general groceries the Coop is a bit limited. Its with a bit of sadness we are writing this review as it may be our last stay at Sudeley. Being international travelers with time in the UK being valuable (can't just pop over for a few days) and with our previous stays we have taken advantage of most all of the features of this area of the Cotswalds and so the motivation to return to Sudeley is reduced. Also, we are getting older and getting (driving) to Sudelely is becoming more of a challenge. Winchcombe is a great place and the cottages are in an amazing location. Well appointed but a bit overpriced. If you’re cooking yourself, the kitchen is great. But bring all ingredients, even down to salt and pepper. The Lion Inn has amazing food.